Depends on the tour. For tour like Climbing Mount Kinabalu, at least 90 days earlier. For other tours, it is highly recommended that you book the tour, at least 3 days before departure. We do not store any credit card details / bank number details / password used during your purchasing process. In fact all the transaction is made purely encrypted and secured - under a solid platform made by our online payment gateway service provider: MOLPay. Please read our Terms and Condition page and Refund and Return Policy. If you purchased a T-shirt (depends on stock / availabality) you might want to look at our Shipping Policy page. I was in a middle of the booking process, and my internet was down, what should I do? You can SAFELY do the booking process again. All the bookings will only be succesful until you received an online receipt from MOLPay. I was presented a booking confirmation on my computer but I do not receive any e-receipt, what should I do? 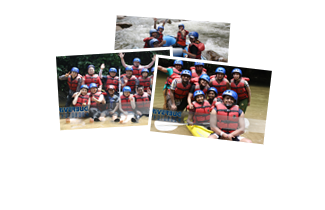 Contact us immedietly at support@riverbug.asia or sales@traversetours.com. We will check your booking and forward you the receipt. 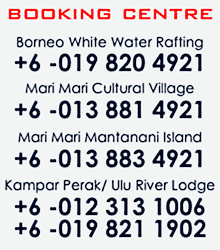 Contact us immedietly at support@riverbug.asia or sales@traversetours.com. We will refund one of the booking with 100% cancelation refund and zero cancelation fee. I went through all the booking process yet I not received / displayed with anything, what should I do? Contact us immedietly at support@riverbug.asia or sales@riverbug.asia. We will check your booking, was it successful or not. Either way we will notify you the result.